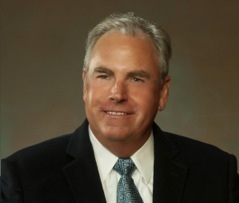 The California Cotton Growers Association is pleased to announce Steve Wilbur as the new Chairman for the California Cotton Growers Association. Steve is a partner of SBS AG and has farmed for over 40 years. He oversees the production and operation of alfalfa, black-eye beans, corn, cotton, pistachios and wheat, as well as a dairy operation. He is a life-long resident of Tulare, California and a graduate of the College of the Sequoias, Visalia, California. Steve enjoys traveling and spending time with his wife Roni; their children and grandchildren. The California Cotton Growers Association is a voluntary dues based agricultural trade organization based in Fresno representing cotton growers in California on regulatory and legislative issues. Cotton is grown in the Imperial, Palo Verde, San Joaquin and Sacramento Valleys of California. This entry was posted in NEWS & ISSUES on March 31, 2014 by ccgga.